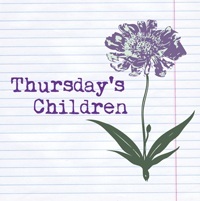 This week on Thursday's Children in honor of the Like A Virgin Contest we were asked to answer 7 questions in regards to our personal lives, and our writing. I love being interviewed. More than that I love interviewing; getting to know people is one of my favorite experiences. I had just turned nineteen, and he had just turned twenty-three. Which might seem a little old for a first kiss, but in small-town Texas boys who like boys don't get a lot of opportunities when it comes to romance. On the first day, in my first class of my first fall semester I saw that the metallic, slate-blue "N" on his gray New Balance shoes matched the blue of his eyes. I was smitten. Over the school year we became the best of friends; which led up to a conversation in the following April where we both confessed for the first time in our lives to another person that we were gay. In July - the wee hours of the morning on July 8, 2006 to be exact - while less than sober, and more than uninhibited we each shared our first kiss. At the time it was everything I ever wanted. For 11 months I had wondered what it would be like to kiss him, and be Out There with someone. My sexual orientation was one of the worst kept secrets of my youth. Since everyone learned the word "gay" in 5th grade that's what I was called. But growing up in a small town where everybody knows everybody I had more friends than people who didn't like me, and the taunts never really got under my skin because a) I knew it to be true b) I knew it didn't change anything about me as a person, and c) Because I omitted, denied, and avoided claiming that part of my identity for so long I eventually became my own adjective to my friends and relatives: "That's just Colten"/ "That's so Colten!" I promised myself in high school - when my Baptist upbringing had reconciled itself with my teenage boy desires - that I wouldn't say anything about being Gay until I had Someone (a boyfriend). It seemed useless otherwise. I felt that claiming that kind of label without a reason would lead people to believe that somehow I was different than the person they grew up knowing. So through the lens of hindsight I remember my first kiss as sloppy, unromantic, and reckless (it wasn't the beginning to a relationship but a very fun and very sad ending of a friendship)...but without that kiss I wouldn't have had the courage to Be Myself, or claim that part of my identity that allows me to love freely now. Texas has the University Interscholastic League (UIL) which is an organization that sponsors academic competitions between participating schools. One Act Play is one such competition. I was in "One Act" from eighth grade through my senior year in high school. My junior year we were watching the first show (we were slated to perform 5th), and I was sitting next to the boy who I would compare all men to for the next 9 years of my life. We met my freshman year in high school he was one of the tech guys in my theatre class - not a performer, but he liked to help build sets and take trips during competition season. Dishwater blonde curls, dark blue eyes, he hunted, fished, played baseball, football, and basketball - I also attended his Eagle Scout ceremony. But what sealed the deal was during rehearsal one afternoon I saw him reading Shogun by James Clavell. He's a guy's guy AND he reads historical fiction set in Asia?! That's what I thought about men who read for pleasure when I was in High School. In short order we were best friends (notice a trend?). Then a year and half later we're sitting in this dark theater in some high school in central Texas. The show was Sweet Nothing's in My Ear. At one point in the show the husband and wife are remembering the night they fell in love, and conceived their son on a beach. The music the director/sound designer chose for this moment was Norah Jones' "Come Away With Me". To this day every time I hear that song I think of him. How it felt to be his best friend, sitting there right beside him wishing that he could feel the way I felt, wishing that I could even tell him how I felt. I've experienced that simultaneous rapture and longing remarkably few times in my life - it's a horrible, glorious feeling. "Come Away With Me" brings me back to that time in my life. 3. First thing you do when writing for the day? I'm easily distracted. So I have to "get in the zone". I pace back and forth through our apartment. I have to map out and plan exactly what I'm going to write that day otherwise I'll meander through my MS as much as I did answering questions 1 and 2! I'll do this until I have a clear first sentence to the chapter and a final moment. What's in the middle comes on the fly, but I've been known to pace for up to two hours before I actually sit down to write. 4. Who was the first writer who inspired you to write? Stephen King. No question. I read The Stand when I was 11 years old, and still I wonder what it would be like be one of the last people on earth. I realized that I wanted to make people feel as strongly as I did for his characters. I wanted to make people feel things, and alter the way they viewed certain things. King's work exposed me to varied belief systems and perspectives on issues that I had yet to experience or consider. I knew then that I wanted to do that for people. 5. Does the final revision of your first book have the same first chapter it started with? NO! Hahahaha, and that makes my best friend, Kim, so-so-So happy. She hated the opening prologue from the moment she read it. It's been tweaked, cut, and altered several different times across 7 drafts. How it stands now is about a page and a half, and significantly different from the bloated introduction it was. 6. For your first book, which came first: major characters, plot, or setting? Characters, and right on the heels of that - Setting. The title is what initially came to me, and immediately when I asked the question "Who" in regards to my title my characters waved politely, and introduced themselves. I had to do very little work with most of my characters. Oliver gave me a bit of trouble in the beginning. 7. What is the first word you want to roll of the tip of someone's tongue when they think of your writing? I want them to shout "MORE!" ...because - God willing - there will be. Awesome answers to those questions! When you talked about claiming the word "gay" not feeling right until you were in a relationship it reminded me of how many writers don't consider they are truly writers until they have an agent, and/or a publishing contract, and/or a book on bookshelves... As much as we know who we are better than anyone else ever can, still we rely on others to accept that identity and to validate it before we feel free to claim it as rightfully ours. Weird, huh? I love that correlation, and it's undoubtedly true! That's certainly how I feel about writing. I freely admit that I need validation when it comes to things that are important to me. Is it good? Is it right? Is this what you want? For me it's useless to share your gift if no one else wants it. Wonderful first kiss story. Thanks for joining us! I love these answers and your honesty. Thanks for sharing. By the way, I can tell what a great writer you must be just by the way you wrote these answers!